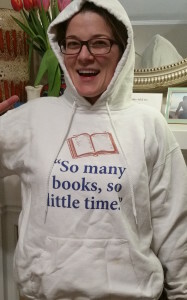 When Q and I started dating, I mentioned that as a child, I owned a sweatshirt that said: “So Many Books, So Little Time”. He bought me one for Christmas. If I had my druthers, I would be reading books most of the time. There are so many books I want to read, they’re piled everywhere. In that pile, I have a few political histories, including 2 about Richard Nixon. Last year, we watched a bit of Oliver Stone’s series on United States history, which was very well done, if a little slanted. (spoiler: Oliver Stone is not Harry Truman’s biggest fan.) We also saw Best of Enemies, about the 1968 political convention television debates. Thinking about it now, it may have been my favourite film of 2015. 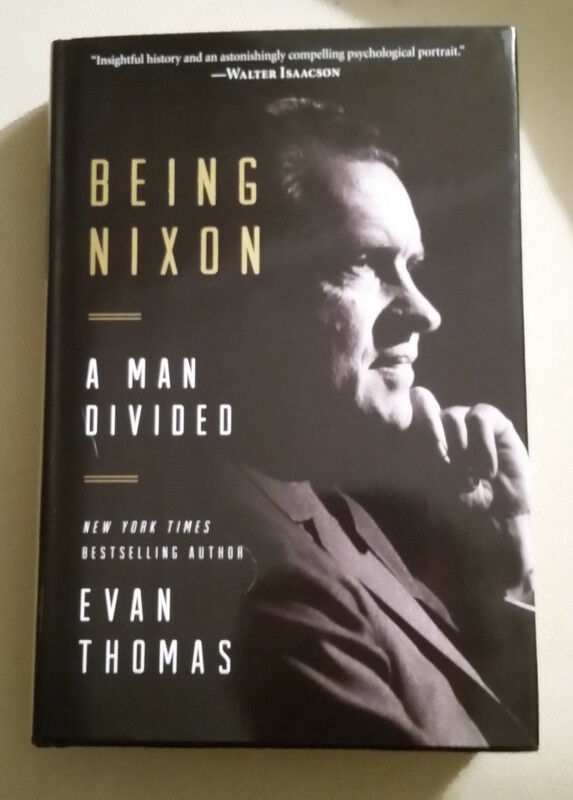 Watching these made me want to learn more about the time, and Richard Nixon again, so I was delighted to see a review of Being Nixon that specifically noted that this biography does not simply portray Nixon as a “crook and a war monger”. This last line has made me laugh all week, Q’s indignation! I am determined now to read the biography. I may even have to read the more sympathetic, Nixon-favourable parts out loud.